With California housing markets having decidedly shifted since the summer, the looming question is what comes next. Since 2014, Pacific Union has partnered with John Burns Real Estate Consulting to forecast the market for the upcoming three years. At our November 2017 forecast, we suggested that the John Burns Home Value Index would reach a plateau in 2018 (which we named a “table top”) and maintain that level through about 2020. The major difference between the current peak and the previous peak seen in the mid-2000s is that the current peak resembles a table top, while the last peak was characterized as a “mountain peak” — a peak followed by a large decline. A lot has happened since our last forecast, but our predictions remain similar. While our annual forecast event has been postponed to the first quarter of 2019 as a result of the merger with Compass and the wildfires, I recently attended the JBREC annual summit in New York City, and here are the key takeaways. While concerns over the housing market’s strength are rising, the major tailwind is the demographic force. With U.S. millennials numbering 44 million, that generation’s largest age bracket (4.7 million people) will turn 32 years old over the next couple of years, thus creating a huge wave of potential homebuyers. 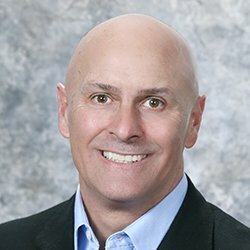 Online buyer behavior suggests that sales will remain solid in markets in the South (such as Charlotte, Houston, Raleigh, and Atlanta) but will decline in West Coast markets and some Northeastern markets, with California home sales expected to post a 2 percent to 7 percent decline over the next six months. Interest-rate hikes following strong price growth over the last year took a large bite out of affordability, making it the biggest concern for California housing markets. While technological advancements have the potential to reduce construction costs, supply constraints outweigh any potential savings in the short term. Affordability constraints are likely to drive builders to pivot down in price to smaller, higher-density, lower-specification homes in slightly less desirable locations. Also, builders are more likely to construct single-family rental properties. Average annual price growth in six California metropolitan areas is projected at 6 percent in 2019 and 3 percent in 2020 before declining by 0.3 percent in 2021. With U.S. millennials numbering 44 million, that generation’s largest age bracket (4.7 million people) will turn 32 years old over the next year, which is the median age of first-time buyers in the U.S. Considering a combined total of about 6 million new and existing homes sold annually in the U.S., millennials have the potential to create a huge wave of first-time homebuyers and account for a much larger share of total housing demand. First-time buyers currently comprise about one-third of all homebuyers. These demographic forces suggest that 1.25 million more households per year over the next 10 years will need housing, which means that 1.375 million new units per year need to be built to meet demand through 2025 (including owner-occupied properties, second homes, and replacement of teardowns). However, after 2025, America’s aging society will reduce the need for housing production since seniors create supply when they pass away or move into assisted-living facilities or their children’s homes. Thus, the net growth of new homes will decline to 230,000 units per year. At the same time, meeting current demand has become increasingly more difficult, as builders take a large risk when buying raw land to entitle in their respective regions. Based on a JBREC survey, buying raw land is perceived by builders as twice as risky as buying a few home-builder stocks, leading to fewer builders willing to make purchases in the current housing cycle. In addition, builders face large labor shortages, which will not abate considering the nation’s aging demographics and immigration restrictions, both of which will lead to much higher construction wages. However, technological advancements in the construction industry — such as building information modeling software, 3D printing, robotics, off-site technologies imported from overseas, and smart homes — have the potential to reduce costs dramatically. Lot shortages will keep land prices high. Labor shortages will keep building costs high. Inflation and potentially tariffs will keep materials costs high. Regulation-related costs are high in California. Significant off-site cost reductions for nicer single-family homes are years away. Nationally, sales of newly built homes have been slowing all year, with a 13 percent year-over-year decline in October, bringing annualized sales to 553,000 new single-family homes, or 40 percent of the projected 1.3 million needed to meet demand. Mortgage rates rose by 88 basis points this year, from 3.95 percent in January to 4.83 percent in October, resulting in at least an 11 percent increase in payments without accounting for price appreciation. Each 100-basis-point increase in mortgage rates reduces borrowers’ purchasing power by about 7 percent. The impact on affordability is vast, as 44 percent of American households earn less than $50,000 per year and the median U.S. income is $63,000. In the Bay Area, the current minimum annual income required to purchase a median-priced home is more than $202,000, up from $90,000 in 2012. The median household income in the Bay Area averages about $100,000 in the eight local counties excluding Solano. In Los Angeles, the current minimum annual income required to purchase a median-priced home is more than $112,000, up from $54,000 in 2012. The median household income is Los Angeles County is currently about $65,000. Newly constructed homes cater to affluent homebuyers, with 60 percent of public builders across the U.S. now constructing homes with average prices higher than $400,000. In Los Angeles, the median new home price is $682,000, while in the Bay Area, it ranges from about $760,000 in Sonoma County to $1 million in Silicon Valley. Only 24 percent of American renters can afford the median-priced new home today, and just 31 percent can afford a resale home. And while there have been more listings on the market in recent months, inventory is still below average across all price tiers, especially for the most-affordable range, which is almost 50 percent below the average. Lastly, the housing market’s performance and the current slowdown is not a nationwide trend — sales of existing home remain strong in the relatively affordable South. The economy will remain healthy, boosted by low unemployment, continued hiring, and wage increases, but the rate of growth will slow. Mortgage rates will likely reach 5.5 percent by the middle of 2019, leading to fewer home sales. Historically, increases in mortgage rates when the economy was strong have generally had a small impact on activity, leading to a 7 percent to 10 percent decline in sales. Online buyer behavior suggests that sales will remain solid in the markets in South (such as Charlotte, Houston, Raleigh, and Atlanta) but will decline in West Coast markets and some Northeastern markets, with California home sales expected to post a 2 percent to 7 percent decline. Rising rates will slow move-up homebuyer activity, with an 11 percent decrease in total home sales. Mortgage availability has improved, though credit scores and proof of employment play a critical role (unlike during the early 2000s). The risk of a recession increases, with a 48 percent probability of a downturn within two years and a 64 percent chance within four years. Fifty-nine percent of economists forecast a recession in 2020. California housing markets generally rank normal to higher risk, with no market nationally categorized as very high risk. Affordability is the primary risk. A huge upside in the current housing market is homeowner equity, currently at $190,000 inflation-adjusted per U.S. owned household. The chart below shows the John Burns Home Value Index four-year outlook for median home price appreciation in six California metropolitan areas and/or divisions. The numbers indicate the average annual rate of growth or decline. Because of affordability pressures, all six markets are projected to see notably slower price growth over the next three years. Four of the six markets are forecast to see negative growth in 2021 of no more than 1.3 percent. However, all markets will see at least a 5 percent additional cumulative increase in 2019 and 2020 before the reversal in 2021. Taken together, with input from JBREC and the nation’s largest home builders, our final takeaway is that buyers and investors should proceed with caution but proceed nevertheless. California had a 4.2-month supply of inventory in September, the highest level recorded in 31 months. Statewide, home sales declined by 12.4 percent from September 2017 while dropping by 16.4 percent in the nine-county Bay Area. The Bay Area’s median sales price was $930,000 in September, an annual gain of 9.8 percent after 14 straight months of double-digit-percent annual appreciation. Although the Golden State’s tight housing supply situation improved again in September, rising mortgage rates and buyer sentiment that the market may be topping out conspired to hold back home sales. That’s according to the latest home sales and price report from the California Association of Realtors, which puts the state’s months’ supply of inventory at 4.2 as of September, the highest level in 31 months. Active listings increased for the sixth consecutive month and were up by 20.4 percent from September 2017. The nine-county Bay Area saw the number of homes for sale improve on both a monthly and annual basis, as the month’s supply of inventory rose to 3.2. 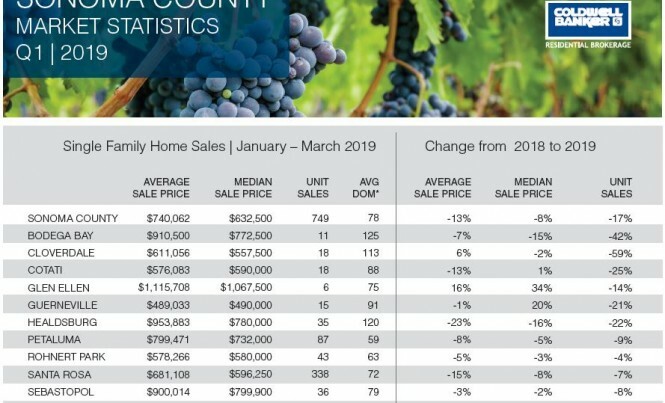 All counties posted year-over-year gains, with the monthly supply of inventory ranging from 2.7 in Alameda County to 5.6 in Napa County. An increased number of homes on the market did not translate to higher sales, which declined by 12.4 percent year over year statewide, the largest such drop in more than four years. All major regions of the state saw double-digit-percent annual sales declines, with Bay Area activity down by 16.4 percent, the biggest decrease in nearly eight years. California home appreciation continued to moderate in September, with the $578,850 median sales price up by 4.3 percent on an annual basis. In a statement accompanying the report, CAR Senior Vice President and Chief Economist Leslie Appleton-Young said that she expects appreciation to further decelerate in the coming months, driven by homebuyer reluctance to enter the market given current prices. The median sales price for a single-family home in the Bay Area ended September at $930,000, a year-over-year gain of 9.8 percent. For the previous 14 months, the region had posted double-digit-percent annual home prices gains. All nine counties recorded home price growth from September 2017, ranging from 14.2 percent in San Mateo County to 5.5 percent in Alameda County. San Mateo County overtook San Francisco as the state’s most expensive county, with a median sales price of $1,600,000, followed by San Francisco ($1,507,500), Marin ($1,395,000), and Santa Clara ($1,250,000) counties.